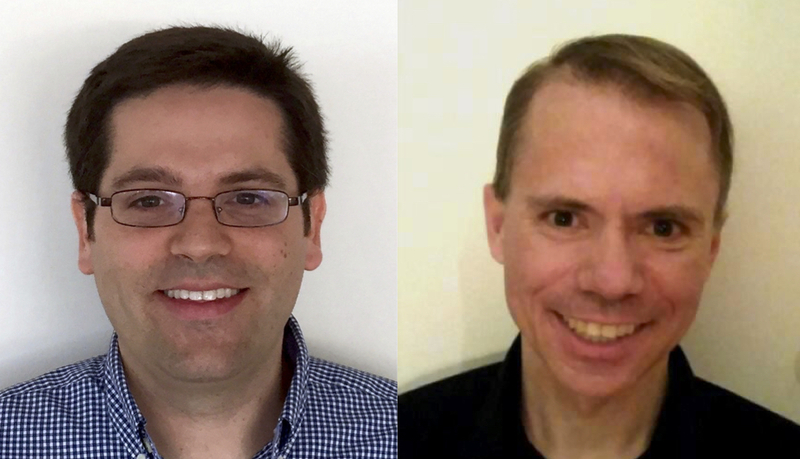 A Clay Research Award is made jointly to Jason Miller (Cambridge) and Scott Sheffield (MIT) in recognition of their groundbreaking and conceptually novel work on the geometry of the Gaussian free field and its application to the solution of open problems in the theory of two-dimensional random structures. The award will be presented at the Clay Mathematics Institute's 20th anniversary conference in September 2018. The two-dimensional Gaussian free field (GFF) is a classical and fundamental object in probability theory and field theory. It is a random and Gaussian generalized function h defined in a planar domain D. Despite its roughness and the fact that it is not a continuous function, it possesses a spatial Markov property that explains why it is the natural counterpart of Brownian motion when the time-line is replaced by the two-dimensional set D. Miller and Sheffield have studied what can be viewed as level-lines of h and more generally flow lines of the vector fields exp(iah), where a is any given constant. This framework, which they call imaginary geometry, allows them to embed many Schramm-Loewner Evolutions (SLE) within a given GFF. A detailed study of the way in which the flow lines interact and bounce off each other allowed Miller and Sheffield to shed light on a number of open questions in the area and to pave the way for further investigations involving new random growth processes and connections with quantum gravity.